Skoda Fabia. Driver Position Fuel Type Donor Vehicle. Donor Vehicle PCS Part ID. PCS Part ID Part Notes. 2015 Skoda Citigo 2012 To 2017 SE 1.0 5 Speed Manual Petrol 5 Door Hatchback Injectors 04C133317J All of our mechanical and electrical parts come with a 3 month warranty as standard, this covers the part itself but does not cover any labour charges incurred from fitment or removal of the item. (Terms and Conditions Apply). For extra peace of mind, extended warranties are available upon request at an additional charge. For more information please message us. Please be aware that all our items are removed from right hand drive vehicles unless otherwise stated. If you are unsure if this item will fit your vehicle or if you have any other questions then please call our parts department who will be happy to help. If you have any problems at all then please message us through eBay and we will happily help to resolve any issues. 04C133317J. COMPATIBLE VEHICLES: SKODA SUPERB - 2002 TO 2008. • Safe and Secure Ordering System. We are also not responsible for installation errors, labour expenses, or any other expenses that may occur. • Quick Dispatch. SUITABLE FOR ENGINE CODE: BZG. SKODA FABIA 5J MK2 2009. Skoda Fabia 2000>2007. PLASTIC INLET MANIFOLD. Skoda Octavia 2005>2009. Skoda Octavia 1998>2008. Channel Islands. 1.2 12 VALVEPETROL MODEL. SKODA RAPID SPACEBACK 2012- 1.2 Fuel Pipe. Removed from a 1999 ( Octavia 1998 To 2000 range) Skoda Octavia GLX 1.9 Diesel 5 Speed Manual 5 Door Hatchback. 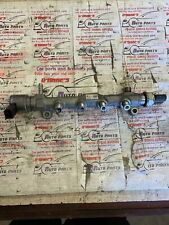 Skoda Octavia 1.9 Diesel Injector. Octavia 1998 To 2000. SYNETIQ Sites. Anywhere other than the mainland UK. 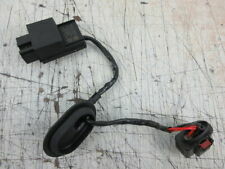 Removed from a 2011 Skoda Octavia 2.0 Petrol 6 Speed Manual vRS 5 Door Hatchback. 2011 Skoda Octavia 2.0 Fuel Rail. Octavia 2009 To 2013. Gaskets & oil seals are not covered. Title to the goods shall remain with SYNETIQ Ltd. (until paid for in full). SKODA RAPID 2012- 1.2 SOLENOID BREATHER CONTROL VALVE PIPE HOSE 6QE906517. Partcode: 04L089G. Engine: 1.6 TDI DCZ. Fits: SKODA SUPERB 2015 ONWARDS. Manufacturer: SKODA. Model: SUPERB. Taked from. Condition: Previously used OEM. Removed with care, fully working. Partcode: 04L130764C. Engine: 1.6TDI DCZ. Fits: SKODA SUPERB 2015 ONWARDS. Manufacturer: SKODA. Model: SUPERB. Taked from. Condition: Previously used OEM. Removed with care, fully working. Partcode: 04L906054. Engine: 1.6TDI DCZ. Fits: SKODA SUPERB 2015 ONWARDS. Manufacturer: SKODA. Model: SUPERB. Taked from. Condition: Previously used OEM. Removed with care, fully working. 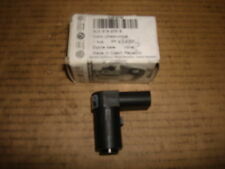 Part number: 06K133317G. Model: OCTAVIA. Make: SKODA. Fuel type: PETROL. Year: 2012. It's really simple - if you are not happy, we are not happy. Transmission: AUTOMATIC.